The very first Sign of the Zodiac is Aries. And, much on the same lines, the ones born under this Sign consider themselves as the first. 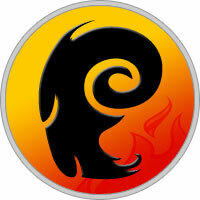 Aries are known for their fiery zeal and exuberance. Most impressive are their leadership qualities and optimism. Most Aries have a burning desire to start things off, and make things happen. Individuals born under the Sign Aries are also known to be pioneers of the Zodiac, and many a times it’s their brave journey into the untrodden path that helps them emerge victorious. Aries individuals also exhibit energy and dynamism, and with their innate charisma, they are often able to convince and lead people effortlessly. The Zodiac Sign Aries is found to be compatible with the Signs Sagittarius, Leo, Aquarius and Gemini (Leo is the best suited among others, as a partner for Aries). In relationships, it is often found that the Aries mate is a loving and loyal one. When the Aries falls in love, he/she will not wait, and would rather straight away go and express his/ her feelings, without even giving this a considerable thought. Affectionate Aries individuals are known to pamper their love ones and beloved to the degree of being excessive. The guileless and usually ‘a child at heart’, Aries natives, however, are extremely dejected and disappointed, when their love is not reciprocated in the equal measure. They try to be understanding and appreciative of their beloved, but only till the time they receive and see the requisite attention and love (or the hope of it) in return. In the horoscope chart, Aries brings impulsive energy to planets or Houses therein. Aries is the Zodiac sign of impatient activity, the one who acts before thinking, because passivity aggravates. That easily leads to competition, even battle. For Aries, the important thing is to do something, whatever it is. You are what you do. One of the best representatives of the Aries Zodiac sign mentality is Achilles, the Ancient Greek legendary warrior hero, who threw himself into battle in what seems to have been a constant struggle against boredom. His minor weakness was what finally got him, but until then he was magnificent in his proud pursuit of the warrior path. In the horoscope, Aries is the Zodiac sign that stirs things up and makes sure that we don’t get complacent, falling asleep in a society that is good enough. One of biggest qualities of Arians is that they can appreciate people boundlessly. They also get easy recognition in any form of work that they do. There is an aura of rare zing around them that makes the Arians all the more special. They are very ambitious people and can go up to any extent to become successful in life. On the negative side, Arians tend to get very dominant at times, which may harm their reputation. It has been often observed that Aries men and women with their dominant nature thrust themselves so much on others that intentionally or not knowingly, they seize away the identity from others. In this whole process, an Arian forgets to realize that their possessiveness might act negatively on their own like. Leaders: Aries are nothing less than born leaders. They do not wait for others to take initiative but they take the onus themselves and plunge to get the work done. Daring: Aries men and women do not waste much time analyzing about that the consequences might be. They are daring and stand erect for anything they believe in. They have all it takes to standing against the crowd. They would never think of themselves as any less and are fully confident on their abilities. Adventurous: All Arians are adventure freak. They simply love to take part into adventure sports. They feel the adventurous nature of them gives them a kick to face life with a lot of positivity. Intelligent: Arians are naturally intelligent. They also have a sharp wit. Their amazing sense of knowledge on any subject never fails to impress people around them. Smart: Aries men are the smartest of the lot. They make use of their intelligence to create the best opportunities for them. They have a very pleasing personality, which makes people simply fall in love with them. Spontaneous: Arians could be very intelligent, but at the same time they are very impulsive. They are so daring that they mostly depend on their instincts without paying any heed to what the consequences might turn out to be. They never pause when they are working. For Aries men and women there is no stopping until they finish the work they started. Aggressive: Aries are very childlike. They have a tendency to get a little aggressive if they don’t find things working the way they want it to. One biggest quality of Aries men is they are go-getters. They never feel stressed until their work is done. This helps them a lot in their professional growth and success. There are certain characteristics traits which mark an Aries separate from the other zodiac signs. Aries are known for their strength and courage. Aries faces the challenges of life without fear. Though Aries are known for the strength it doesn’t make them less vulnerable. The weaknesses in Aries are also equally prominent. Aries are pretty inflexible and stubborn in their nature. They are often not open to other’s suggestions and would do what they think is right. 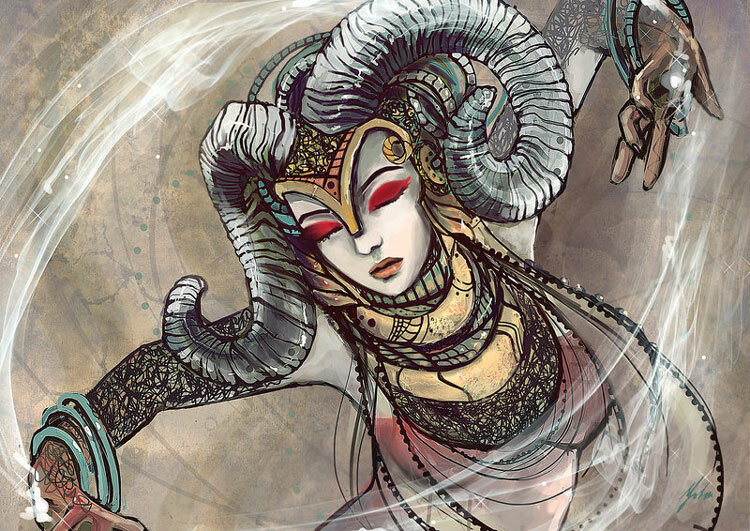 Aries are also quick at losing their temper, especially when they are faced with obstacles and criticism. Aries are independent in nature. They don’t like the idea of taking orders from others and prefer having things in their own ways. This may make them stubborn and childlike. Aries are also moody and not compromising. Aries would take down any obstacle that may come their way. They are also not very kind to people who would criticize them. Their straight forward attitude towards life also make them self-involved and self-centered. They may care least about others feelings. Aries have strong senses of business which make them good entrepreneurs. But they also tend to lose interest easily if the success is not immediate. Aries possess strong ideological values which can often lead to conflicts in their workplaces.